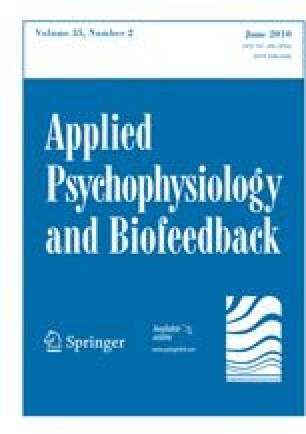 The effectiveness of biofeedback-assisted behavioral treatment with Internet-based client-therapist contact for hypertension was tested in outpatient settings. A pilot study with a randomized controlled design was adopted with two conditions (treatment versus passive controls), lasting for 8 weeks. There were two assessment time points (pre-treatment and post-treatment) measuring clinic systolic and diastolic blood pressure (SBP and DBP) and administration of a questionnaire collecting demographic and subjective data. Participants included 19 Swedish adults diagnosed with hypertension. The treatment group lowered their SBP 5.9 mm Hg and their DBP 7.6 mm Hg while the control group lowered their SBP 0.8 mm Hg and DBP 3.0 mm Hg. The effect of treatment was significant for DBP but not for SBP. There were no other significant effects of treatment. This pilot study shows encouraging results regarding Internet-based biofeedback treatment for hypertensive adults. However, further research using a larger sample is needed.